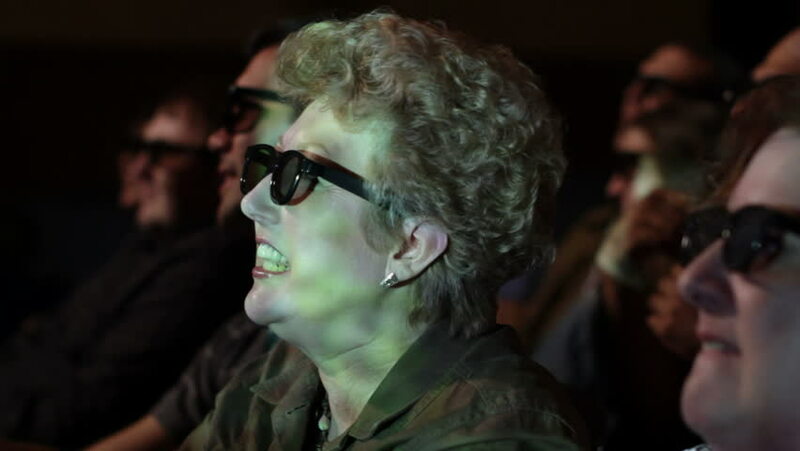 Mature woman applauds as she watches a 3D movie. Focus on her with a small dolly move and projections on her face. sd01:43CIRCA 1940s - The Professor and Shirley visit Washington, DC and see the white house on their bus tour. sd02:051950s - Movie trailer for 1950s musical fantasy film. hd00:13Young woman and friends react to dramatic action as she watches a 3D movie. Focus on her with a small dolly move and projections on her face.